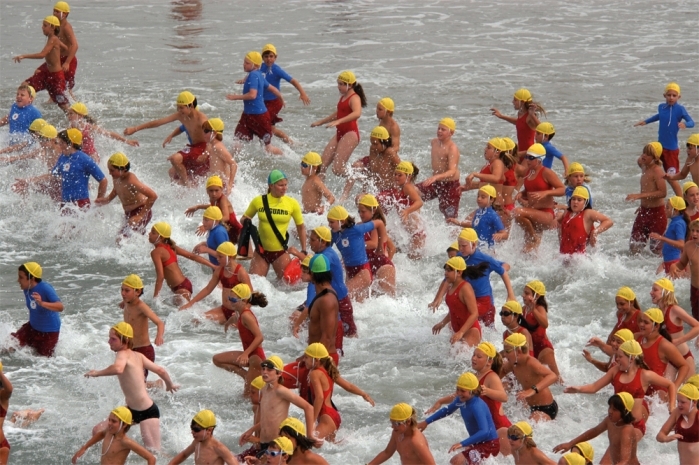 The Junior Lifeguard Program was established in 1964 to educate children to recognize potential hazardous conditions associated with an ever-changing aquatic environment. The initial class of 24 junior guard students has blossomed to an impressive average of over 1,000 students per year. Emphasis is placed on safety, respect, physical fitness, instruction, and discipline. Students are schooled in the oceanic environment, First Aid, CPR, mutual cooperation, competition techniques, and lifesaving methods. The Huntington Beach Junior Lifeguard Program is world renowned, attracting students from Germany, France, England, Japan, New Zealand, Australia, Mexico. In the United States, visitors have come from Oregon, Washington, Alaska, Hawaii, New York, Utah and Florida. The program has been involved in numerous international educational exchanges with New Zealand and representatives have also visited Australia, Wales and Germany. The program is eight weeks long, starting in the last week of June and ending in mid-August. Qualified students are divided into three groups based on their age. These groups are A (14-17), B (12-13), and C (9-11). Each of these groups are then regrouped based on ability, experience and, in the case of the A-group, desired preference. Each group is assigned a surf cap color for easy identification when in the water. Captains Corp (white caps): Developed for Junior Guards who have the drive to become an Ocean Lifeguard, or who wish to challenge themselves both physically and mentally. Safety Aids (pink caps): Safety Aids assist the younger students in water activities. Acting as an extension of the instructors, they provide additional flotation and safety. This group has been recognized by other Junior Lifeguard agencies and has been utilized in regional and national championships. 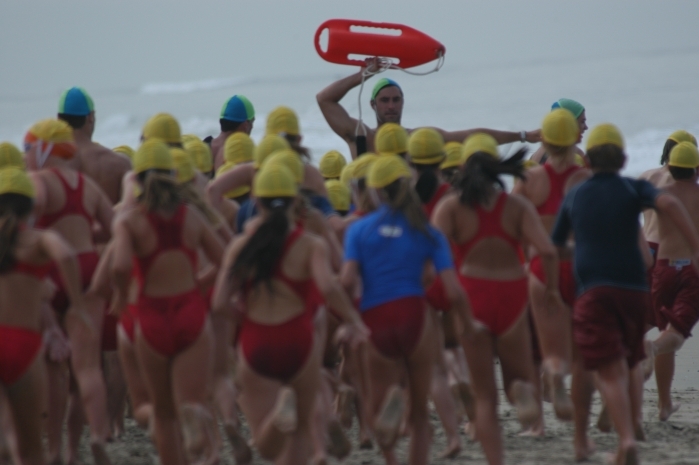 Visit the Huntington Beach Junior Lifeguard Web site.